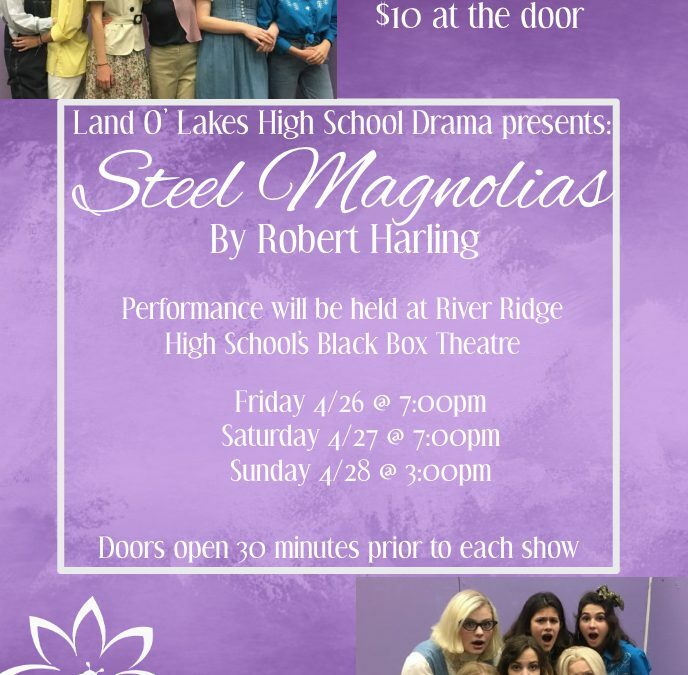 LOLHS Drama Presents Steel Magnolias! Land O’ Lakes High School Drama presents Steel Magnolias by Robert Harling. Get your tickets on ACORN, advance tickets are $5 & $10 at the door. 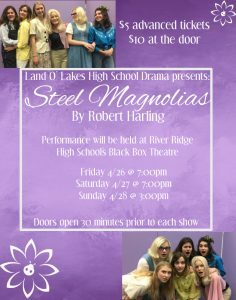 Performance will held at River Ridge High School’s Black Box Theatre. 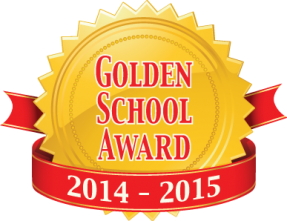 Friday 4/26 and Saturday 4/27 @ 7:00pm, Sunday 4/28 @ 3:00pm.